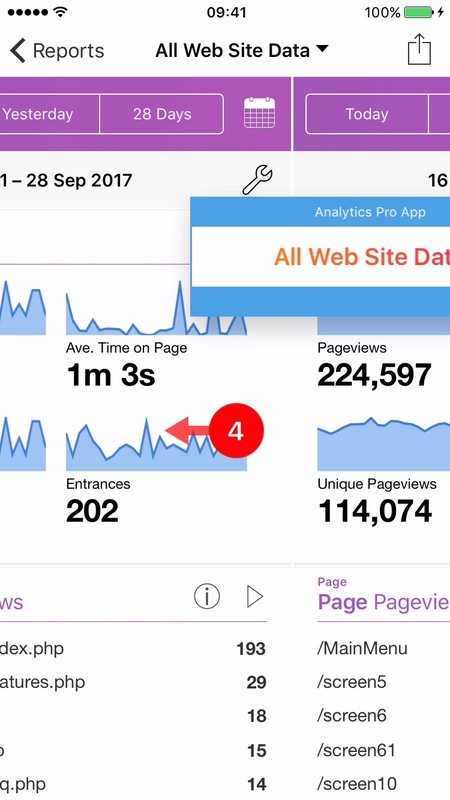 The Dashboard provides a quick method for changing the Google Analytics View (previously known as Profile). This tutorial shows how to use this functionality. 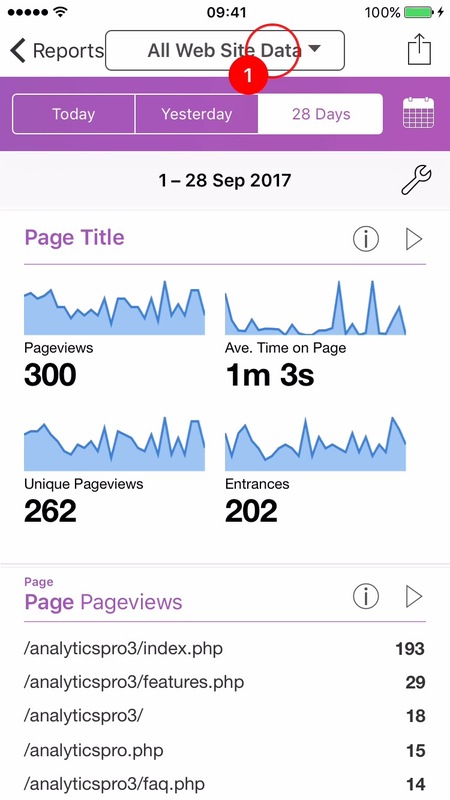 1The 'View' Button is available at all times and allows you to change the current Google Analytics View. 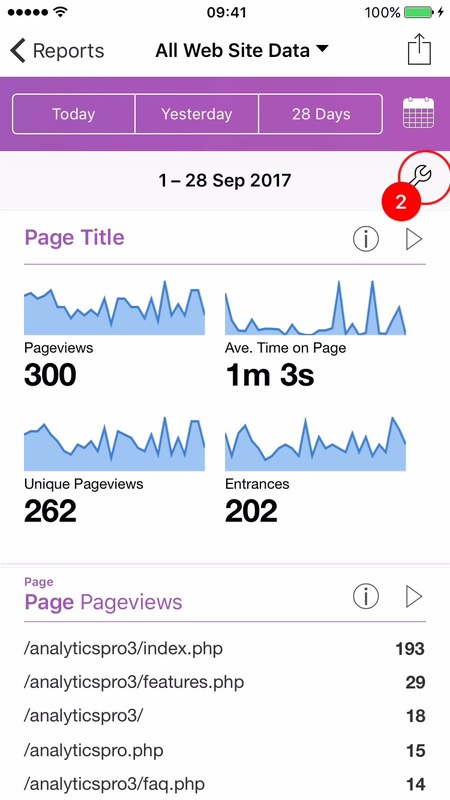 2The dashboard will remember previously selected views and allow you to quickly change between them using the paging feature. To enable this, Tap the 'Tool' button to display the 'Settings' menu. 3Set the 'Paging' switch to the ON position. Tap somewhere outside the menu to dismiss the menu. 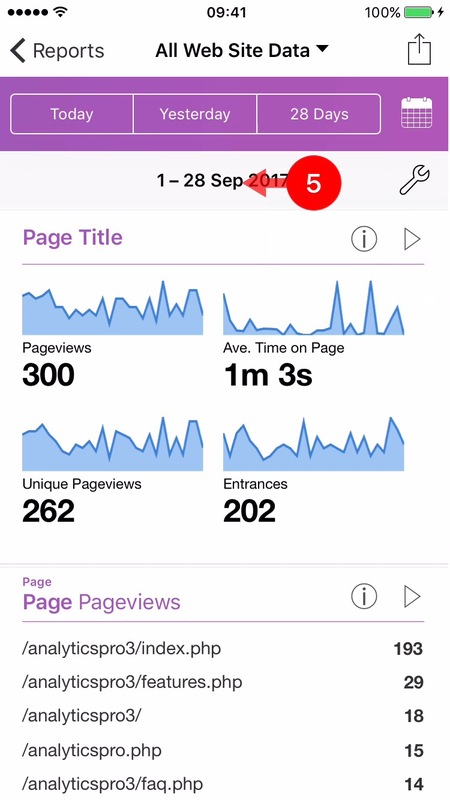 4With 'Paging' enabled, dragging left or right on a dashboard cell will change to a recent view. As you drag, the next view will appear together with the name of the view. 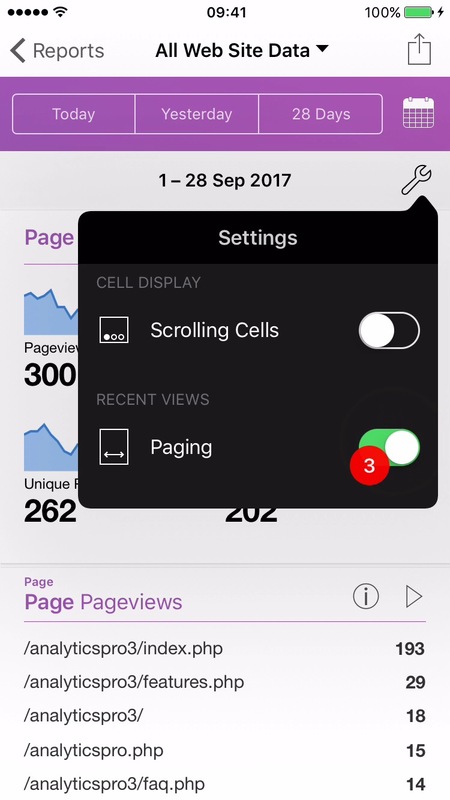 5If 'Scrolling Cells' is also enabled in step 3, dragging on a cell will not change the view. 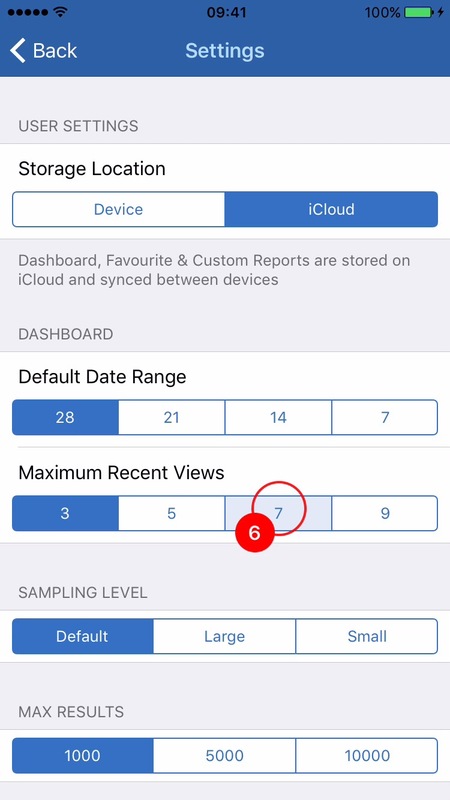 6By default, 3 previouly selected views are remembered, but this can be increased using the App's Settings menu.